In a tight 2015 Winter Classic on New Year’s Day in Washington, it was a little Brouwer power that ultimately decided the outdoor clash between Washington and Chicago. 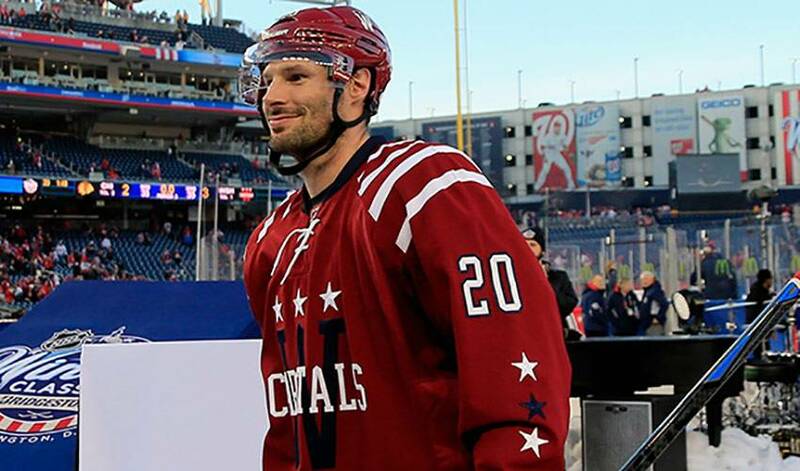 With time ticking down in the third period at Nationals Park (home to MLB’s Washington Nationals) and the game tied at two goals apiece, Capitals forward Troy Brouwer netted the game-winning tally, his first goal against his former club. The power-play marker, with 12.9 seconds left on the clock, set off a wild celebration by Brouwer’s teammates and the 42,000-plus fans in attendance, including some familiar faces. The seventh Winter Classic, with an opening face-off temperature of 43 degrees Fahrenheit, was a see-saw affair that saw Washington jump out to an early 2-0 lead, before Chicago came back to even the score. A late penalty opened the door for the Caps, setting the stage for Brouwer’s heroics. “I was trying to go to the net because I knew he (teammate Alex Ovechkin) was shooting and we were running out of time,” recalled Brouwer. “And when I saw the puck laying at his feet when he broke his stick, somebody had to try to keep it alive. So I turned around, threw it to the net. Brouwer won’t be the only one reliving the victory in the coming years. They’ll also remember that the player who gave them the win kept his word.